While the 7", 10" and 12" are certainly the standard sizes for releasing records, there is no reason that these sizes must be an absolute. 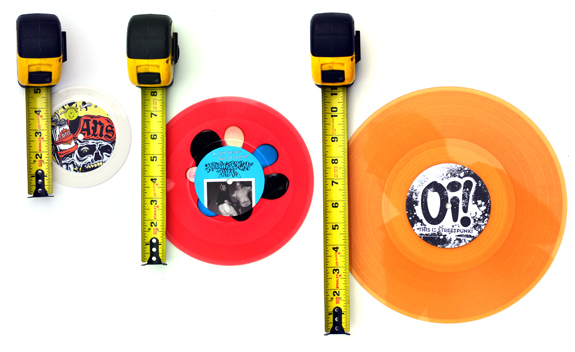 Pirates Press offers vinyl records of all sizes… 5", 6", 7", 8", 9", 10", 11", 12". As always, the recording time available on Custom Size Vinyl records depends very much on the frequency spectrum, the dynamic range, the width of the stereophonic signal and other characteristics of the recording. Get in touch for more information about Custom Size Vinyl today!